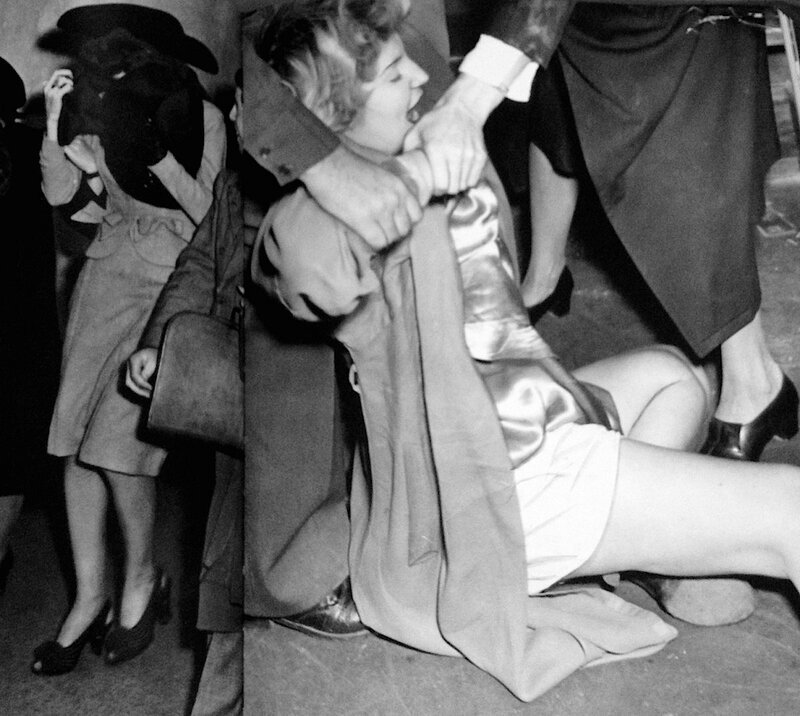 The photographs included in Local News are divided into chapters bearing titles such as, Murderers, Victims, Scene of the Crime, Hold-up Suspects, and Cross-Dressers. Each image tells a true LA noir story and the brief captions included are often just as shocking and strange as the pictures they accompany: Dragged into court, called insane, Big man plays bookie in tiny cubicle, Shoes, necklace found on dead body, and Girl is freed after explaining why she wore Marine uniform trousers after drinking party. As a native of Los Angeles who is interested in its seedy history, true crime, and all that is weird, I wish I didnt already own this book so I could run out and buy it today. This Slender Man head-to-toe Morphsuit costume is now available in kids and adult sizes from Amazon. Apparently has turned on its new content-delivery network, and is reportedly paying Comcast and other big ISPs to move hardware into their data center and build direct interconnects to their networks. This is the exact same evolution that Netflix has been going through, building out its own CDN and agreeing to pay ISPs for interconnection. The major difference is that Netflix has loudly opposed the fact that ISPs can charge a fee for this arrangement, while Apple has stayed mum on the issue. It doesn’t get much more “off-the-shelf” than this: the new Oculus Rift developer kit uses the front half of Samsung’s Galaxy Note 3 for a display. Samsung’s logo is in its usual spot, and the frame even has slots where the phablet’s home button, earpiece speaker, and various sensors would normally go. iFixit made the discovery while tearing down the Rift Dev Kit 2, which is now making its way to developers who ordered the VR headset earlier this year. Tesla just reported its second-quarter financial results, including non-GAAP revenue of $858 million, and non-GAAP earnings per share of $0.11. That non-GAAP revenue figure is up 55 percent from the year-ago period. The US space agency today revealed plans for a new rover: Mars 2020. The rover “will carry seven carefully-selected instruments to conduct unprecedented science and exploration technology investigations on the Red Planet,” NASA announced. San Francisco Airport is testing out location-aware beacons to help visually-impaired people navigate around one of its newest terminals, a program it could roll out to the rest of the airport if successful. An early version of the system was shown off to press today for use on Apple iOS devices, though SFO also plans to make it available for Android users and eventually expand the system to serve up information for those who can see. Bill Nye on why we may be decades away from discovering life on Jupiter’s moon Europa. Google is testing a prototype for a smart contact lens that was built to continuously measure glucose in tears using a wireless chip and miniaturized glucose sensor. Microsoft has tried to push standards with its mobile Internet Explorer browser, but unfortunately the wider web largely develops specifically for the webkit rendering engine and the iPhone. Thats left a lot of mobile websites not rendering properly in Internet Explorer mobile, and a frustrating user experience. Twitter and a number of Google web sites do not render correctly in Windows Phone, but Microsoft thinks it has an answer. With the upcoming Windows Phone 8.1 Update 1, Microsoft is tweaking its mobile browser to better support sites that were designed for an iPhone. The approach means Microsoft is adding non-standard web platform features, but the result is a much better experience for Windows Phone users. Hulu is finally starting to let viewers watch TV shows on their phones and tablets without paying for a subscription. Beginning on Android today, just about everything that you can currently watch for free on Hulu’s website can now be watched for free on mobile devices. Hulu says that there are some exceptions to what you can watch, but it doesn’t say what those are and makes it sound as though it isn’t much. The changes come alongside an update to its Android app, which is now available in the Google Play Store. The original Game Boy turns 25 today, but short of owning an original device or buying the games again on limited selection of the 3DS eShop, your best bet for re-living Super Mario Land or Pokémon Red is to use emulators. The portable nature of the games and the relatively low hardware requirements needed to emulate Nintendos handhelds have made them a perfect fit for modern day smartphones. While Android users have a variety of choices for emulation, the legally gray area of emulators has kept any apps from making it to Apples App Store, leaving apps like gpSPhone and GBA.emu limited only to jailbroken iOS devices.